Images courtesy of Ohkay Owingeh Housing Authority. Owe’neh Bupingeh is the traditional name for the center of the village at Ohkay Owingeh, and has been occupied for over 700 years. Comprised of four plazas, Owe’neh Bupingeh was once surrounded by several hundred homes of which today sixty remain. Since 2005, efforts have been made to balance the preservation of the plazas with functional renovations of the homes. A departure from the Indian Housing developments of the 1970’s—which built subdivisions of single-family homes on the outskirts of the reservation—the rehabilitation of Owe’neh Bupingeh is one strand of a broad tribal effort to bring life back to the plazas. 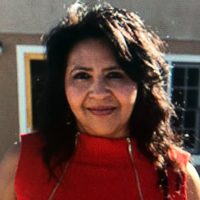 Executive Director of the Ohkay Owingeh Housing Authority, Tomasita Duran, will provide insight and its importance to the Pueblo as well as an update on its current status. Tomasita Duran has been the Executive Director of the Ohkay Owingeh Housing Authority for 21 years. She has overseen the rehabilitation of over 300 dwellings on the Ohkay Owingeh reservation and manages a housing stock of 75 units, including low income housing units. She has developed a Native CDFI, Cha Piyeh, Inc. She rehabilitated 34 homes in the Pueblo core of Ohkay Owingeh recognized as an award winning project nationwide. She has raised 36 million to provide housing services to the community of Ohkay Owingeh. She works directly with the officials of Tribal Council, interacts with private, state and federal agencies and funding institutions to develop housing projects. Mrs. Duran is an enrolled tribal member of the Ohkay Owingeh Tribe. She currently is serving on the National Development Council Board of Directors and Sustainable Native Communities Collaborative Board of Directors.